Bananas are a fruit that have almost a constant presence in my home. They are easy to eat, tasty, inexpensive, transport well and are a fruit so they are healthy! There are times when we can’t eat all the bananas that came on our bunch before they start to brown and soften. When this happens, the brownish bananas are whisked away to my freezer to await their new life as bread. Banana bread to be exact. In researching banana bread, I have found that there are exactly an infinite amount of recipes that claim to be “the best”. Some swear by milk, buttermilk, oil, sugar, less bananas, more bananas, nuts or no nuts, gluten-free flour. My version of this classic goes heavy on the butter and bananas but trust me, it is worth it. I sometimes use nuts and sometimes do not, so I will leave that call to your and your people to decide. Either way, you end up with a moist, chewy, tasty loaf that you can eat fresh from the oven or warmed back up a day later. Or you can eat it like I do, sneaking in the kitchen and slicing off little pieces until half the loaf is gone:) Your choice. Remove bread from pan and allow to cool on a cooling rack or flat surface. Allow bread to cool for at least 15 minutes before slicing and eating! If you choose to add nuts (walnuts are a yummy addition!) add these into the batter right before you add it to the loaf pan and give it a quick mix to incorporate the nuts fully. With this bread, you want to avoid over mixing the batter. 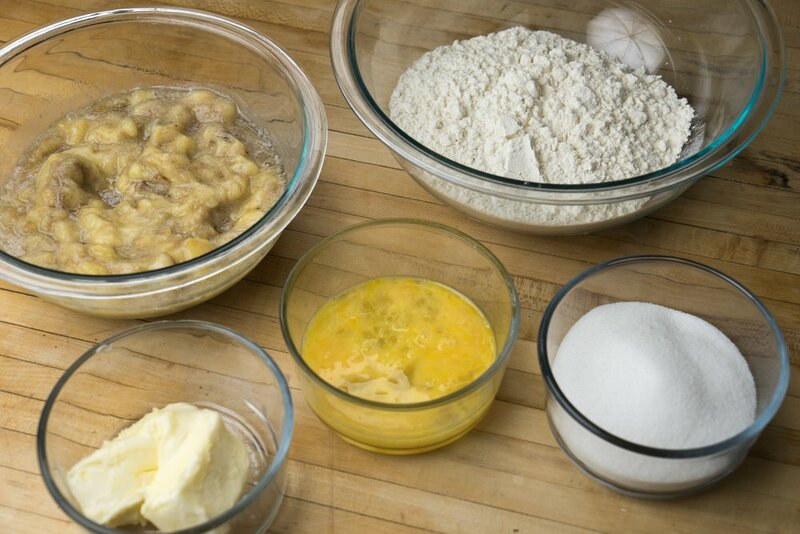 All you need to do is ensure all of the ingredients are well combined and then stop mixing! 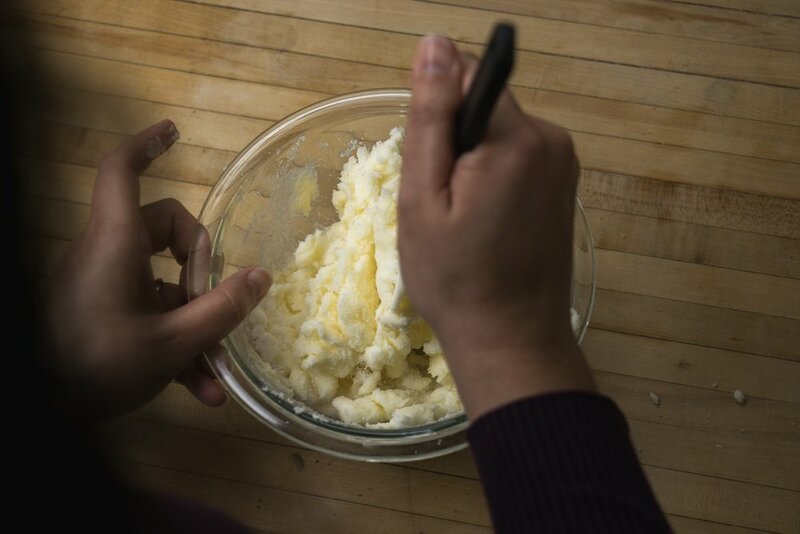 Save that mixing arm for a good sauce or some Fresh Whipped Cream to go with the bread.